1. We can only guarantee the ability to play the games that are advertised on the bundle page - not games that other users have downloaded, or that you download! 2. Make sure you connect to wifi, otherwise you won't be able to access the games! You can use the Nintendo Switch in 3 different modes - TV mode, Tabletop mode, and Handheld mode. TV mode is exactly what it sounds like - using your TV! You simply hook the Switch up to your TV via the HDMI cable. 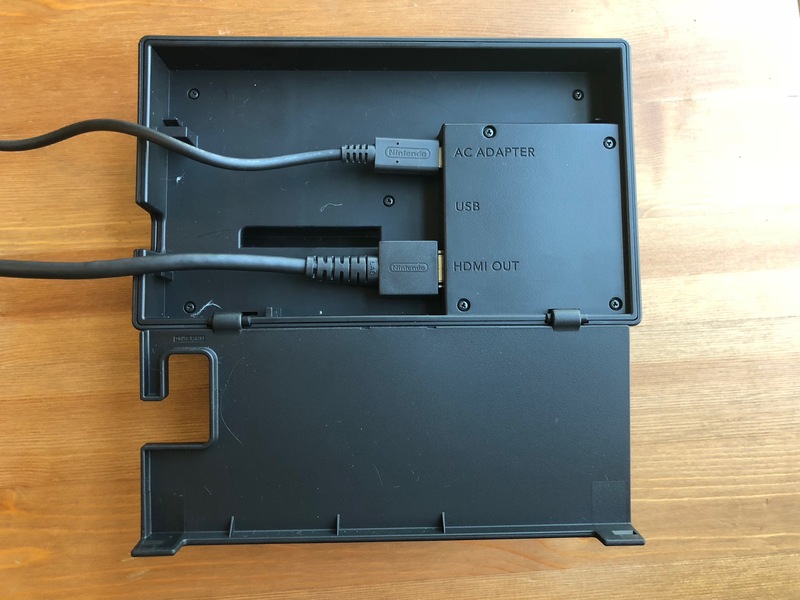 Open the back of the Nintendo Switch dock, and plug in the AC adapter and the HDMI cable. Close the back once everything is plugged in! 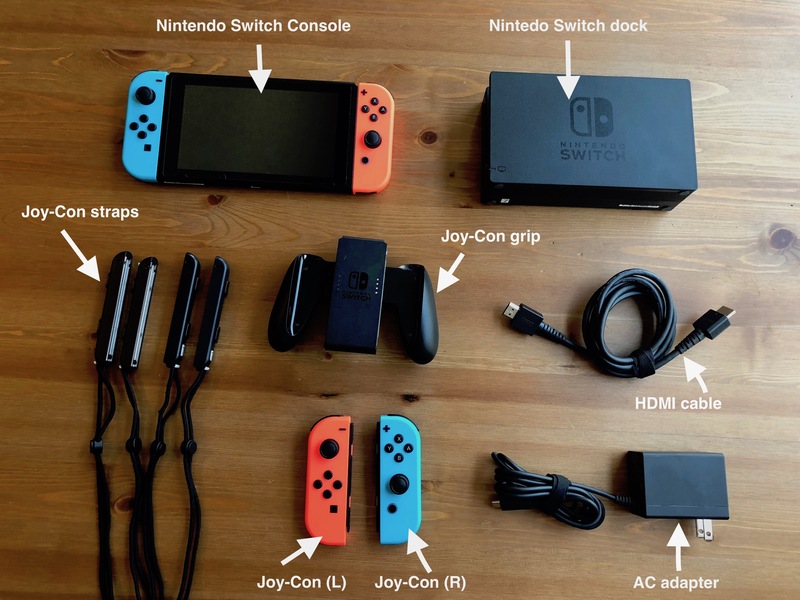 Use the console to charge the joy con controllers. The controllers charge in the hand held mode as well as on the dock connected to the modular switch screen. Plug the AC adapter into an outlet, and plug the other end of the HDMI cable into your TV. 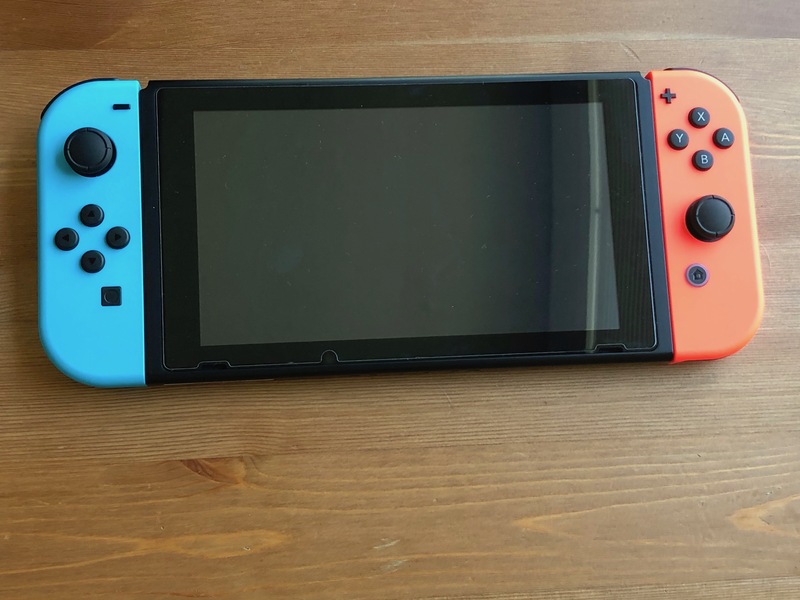 Remove the Joy-Cons from the Nintendo Switch Console by pressing the buttons and sliding them off. 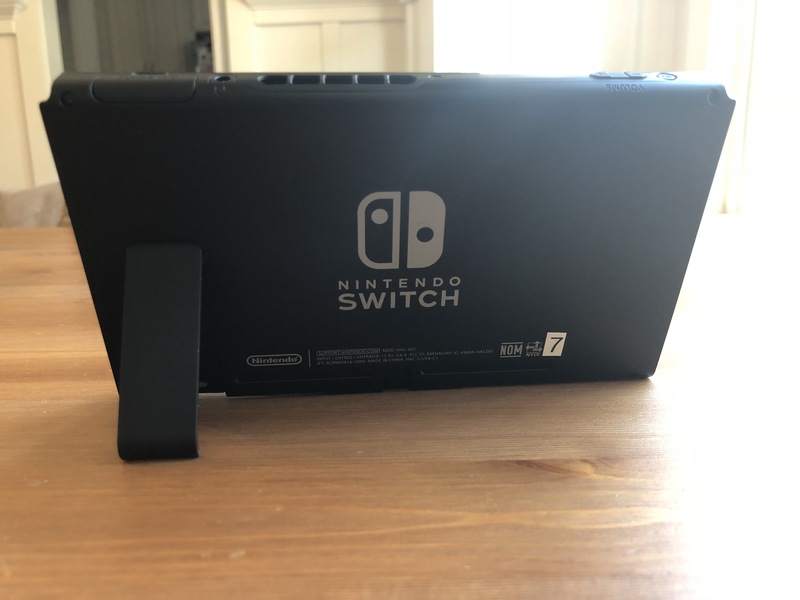 Slide the Switch console into the Switch dock with the screen facing forward. Make sure your TV and the Switch are both turned on. Make sure that the input channel on your TV is set to the HDMI input. 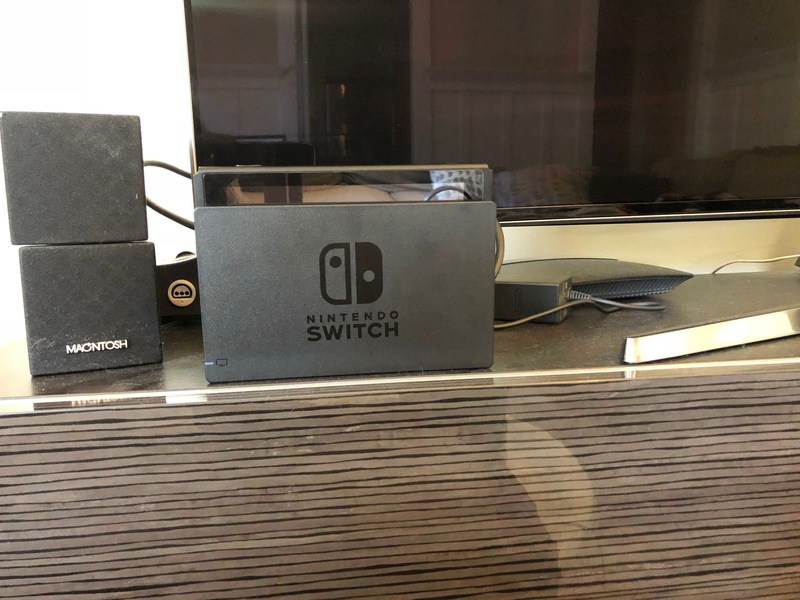 Then, check to see whether the Nintendo Switch screen is being displayed on the TV. The screen on the console will be off, if it's properly inserted into the dock. 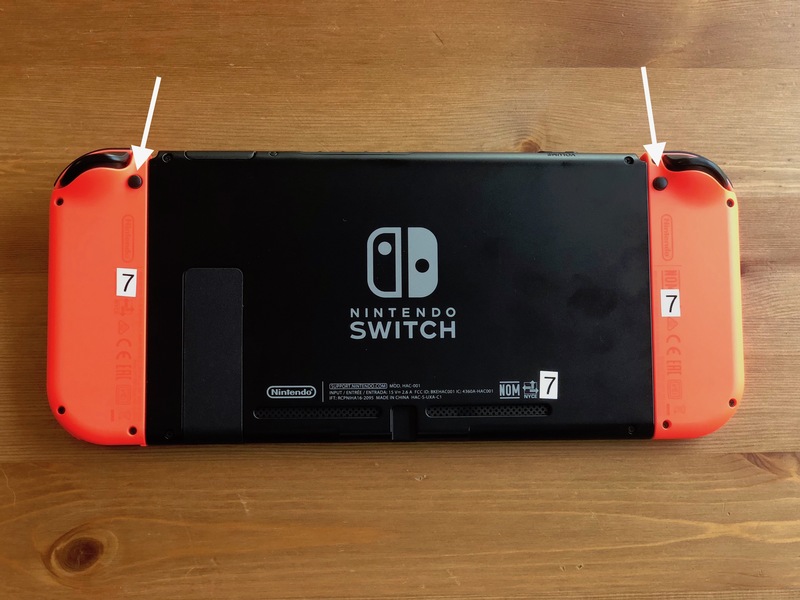 Remove the Joy-Cons from the side of the console (photo above) by pressing the buttons on the back and sliding them off. Pop out the stand in the back of the console, and play! 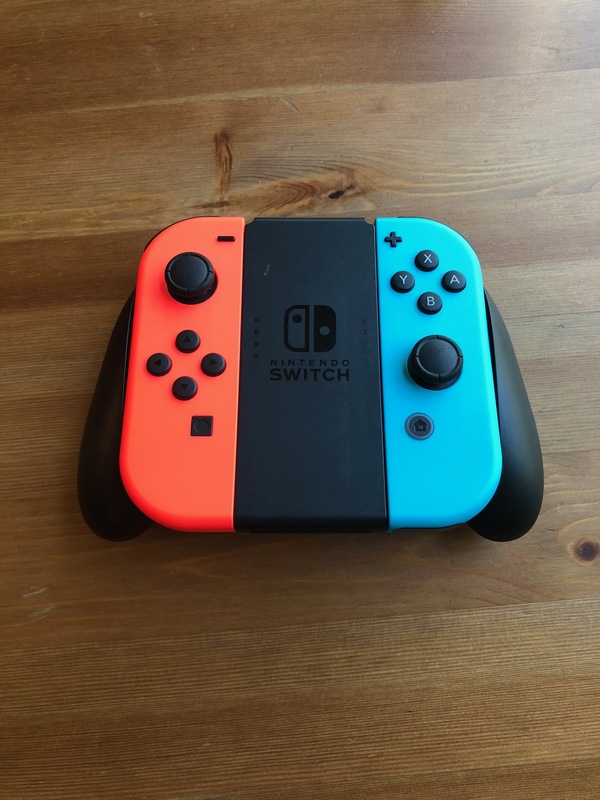 Slide the Joy-Cons into the side of the console and play!